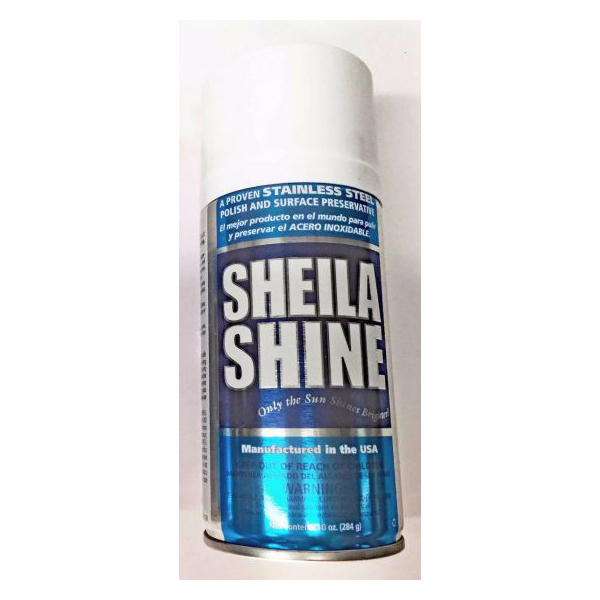 The 10 oz Sheila Shine is a stainless steel cleaner and polish in one can. Perfect for backsplash and appliance maintenance. Use it about once a month and you will find the tile is easier to keep clean and shiny. The occasional splash will wipe up easily with a soft dry cloth or paper towel. There are other similar products on the market that work well also. We offer this one as a convenience and we know it works. You may be able to find this exact product locally, as well.